For a number of years the Patrick Evans Foundation has supported the Playing for Success scheme in Lambeth, South London. Based at the KIA Oval, the initiative is run by the Ben Hollioake Learning Centre and is designed to provide pupils within the 10-14 age group with additional skills alongside improving their cricket. 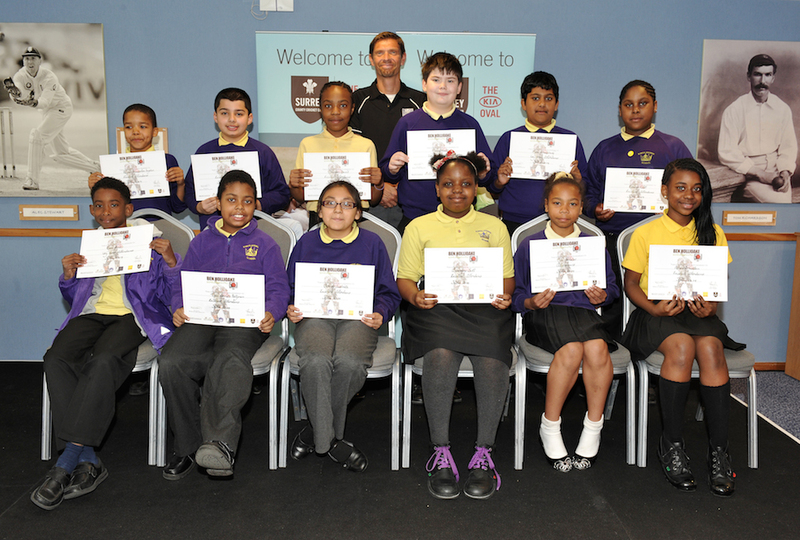 In April 2014 students received awards for their efforts during the Spring Term at a ceremony for pupils and their families. 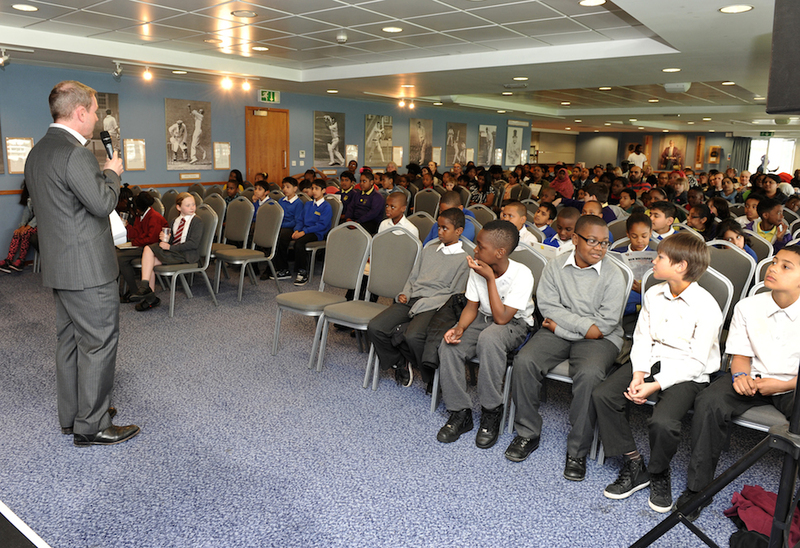 The Ben Hollioake Learning Centre aims to assist local schools in raising achievement by motivating pupils to become more effective learners through activities that improve the core skills of numeracy, literacy and Information Communications Technology (ICT), in addition to developing pupils’ self-esteem, confidence, independent study skills and foster a positive attitude to learning. This is done through combining learning (classroom based teaching) with sport through cricket coaching which is a cause we feel our foundation can relate to, and one Patrick would be proud to support. Following the success of the intial programme, the Foundation has continued to support the scheme, providing funding throughout 2014 and into the Spring of 2015. In April 2014 students received awards for their efforts, presented at a ceremony for pupils and their families, which can be seen in the photos below.